Keolis asked us to come up with a fresh approach to their brand for the Boston Commuter Rail. A company dealing with the public on a daily basis, required a brand that welcomed people, with an approachable design yet eye-catching to attract attention. 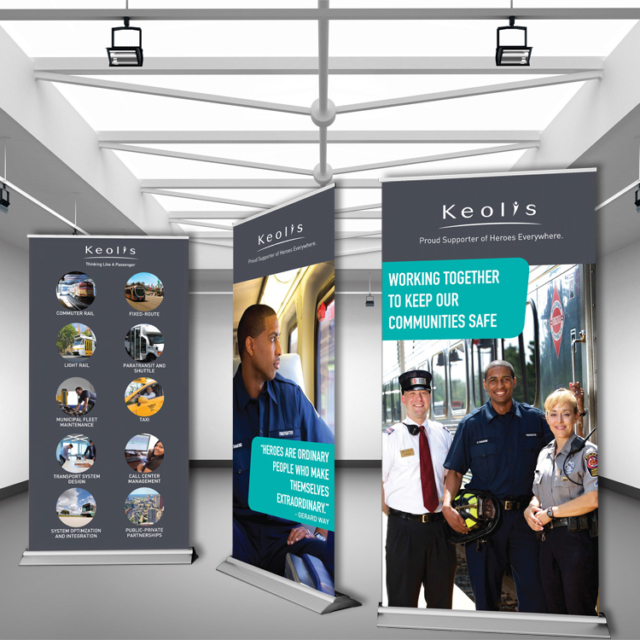 Retractable bannerstands are our most popular tradeshow item. It is easy to transport, and takes seconds to set up.